Children’s Land is conducting a preparatory course for the next academic year covering the aspects of Science, Math & English. 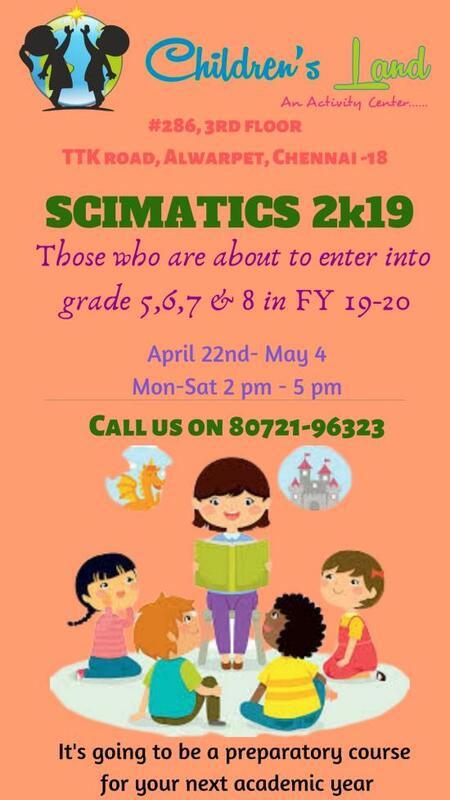 It is for students entering into grades 5, 6, 7 & 8. Please register by calling us at 80721 96323. Age : 9 – 12 years. Timing : 2pm to 5pm.